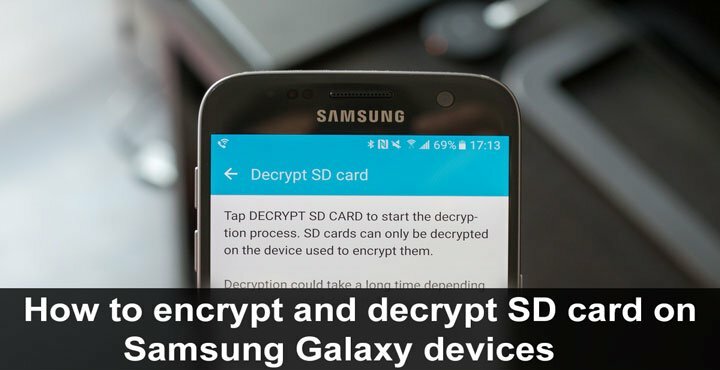 How to encrypt and decrypt SD card on Samsung Galaxy devices? There are some things you should know first before we answer that. 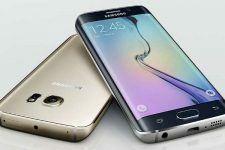 Android users were introduced to full device encryption a while back with Android 2.3 Gingerbread. Back then, it wasn’t a term thrown around as much as it is today so I’m pretty sure you have come across the term. Encryption, simply put, is a process of converting information or data into a coded form that prevents unauthorized access. Imagine it as wrapping up your data into a packaging, which can then only be opened by someone with a key. Just like a lock on the door, someone with the right tools, know-how, and knowledge can break encryption but it’s easier said than done. Unlike a lock on the door, it is way more complicated. The process has seen some dramatic changes over the years and in some cases can take a decade to break. As we move into the future, breaking an encryption is only going to get tougher and more time-consuming. That’s exactly the goal, to make it impractical to try and break an encryption. Maybe you are a CIA agent or something of the sort and have sensitive data on your phone. But even if you’re just another average user, for a lot of other reasons, you can be someone who wouldn’t like that someone else (maybe a thief or somebody who found your phone on the train), who has access to your phone or your SD card, can just put your SD card in a computer or any other device and have access to all the data on it. And that’s why you might want to encrypt it. There are, however, some drawbacks. Not even you, yourself, can read the contents of the SD card using any other device once you encrypt it. Using the same password on a different device wouldn’t work either, that’s just how encryption is supposed to work. You can, however, format the SD card and use it again. So if you break your phone while your SD card, consider it as good as new. An encrypted SD card will perform slower than it’s supposed to since the data has to be decrypted on the fly as you access it. If you have a powerful enough device though you may not even notice the performance drop. We don’t mean to scare you but are these are some things that you should just know before jumping in. You’ll have to be the one to decide whether it’s right for you. There is no right or wrong answer here. Android, on its own, does not support encrypting the external SD card unless the feature is added by the OEM. Luckily for Samsung users, Samsung did add the option. All you have to do is go to Settings, then scroll down the screen and tap on Lock Screen and Security. 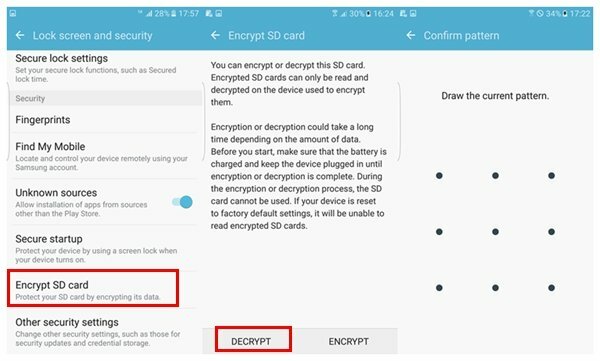 Scroll down and tap on Encrypt SD Card. You will see some information basically saying that if you lose your phone while your SD Card is encrypted, your data is gone. It also says that the encryption can take an hour or even more and it really can. So make sure your device is plugged in while that happens. Tap on the Encrypt SD Card button at the bottom. That’s about it. Your SD Card should be encrypted in a while and nobody shall ever access your precious data. Not even you if you if you lose your phone or it breaks. So you encrypted your SD Card but the caveats are proving to be too troublesome for you and you want to decrypt it again and get your life back on track. Here’s how to do it. Decrypting the SD card just as easy. You go to Settings like before. Scroll down to Lockscreen and Security and tap it. 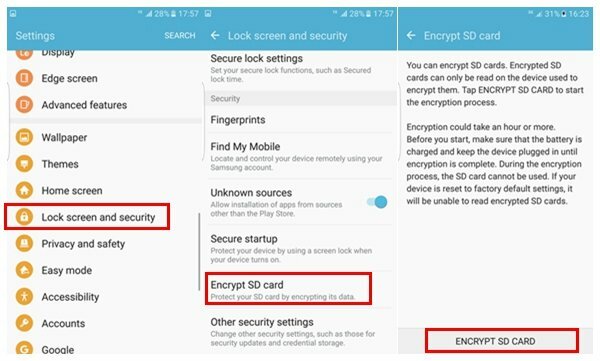 Scroll down again, tap on Encrypt SD Card. Tap the Decrypt button, enter your password, PIN or pattern and it shall be done.